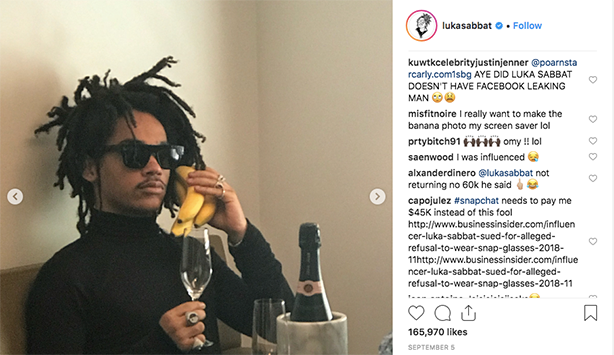 An unfulfilled influencer campaign that has landed American internet star Luka Sabbat in court has been labelled "a complete moronathon" and a shining example of what not to do by British PR leaders. Twenty-year-old Sabbat, who has 1.4 million Instagram followers, is being sued by Snap Inc’s agency PR Consulting for allegedly failing to fulfill a brief, which involved running several posts about Snapchat Spectacles on rival platform Instagram. 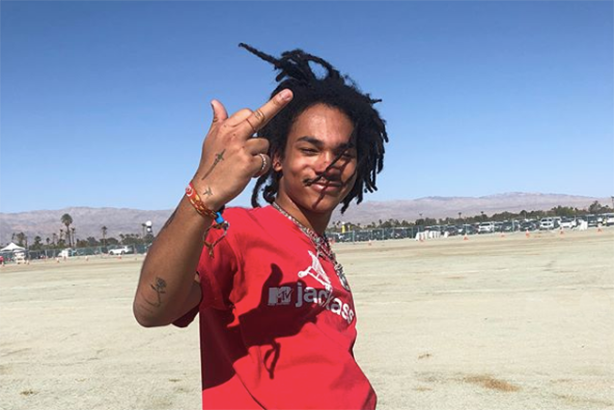 The lawsuit, filed in New York, claimed Sabbat was offered $60,000 (£47,000) and paid an upfront fee of $45,000 (£35,000) for four Instagram posts, including one on his Instagram feed and three in stories. Some of the posts had to feature Sabbat wearing spectacles during the New York and Paris or Milan fashion weeks. 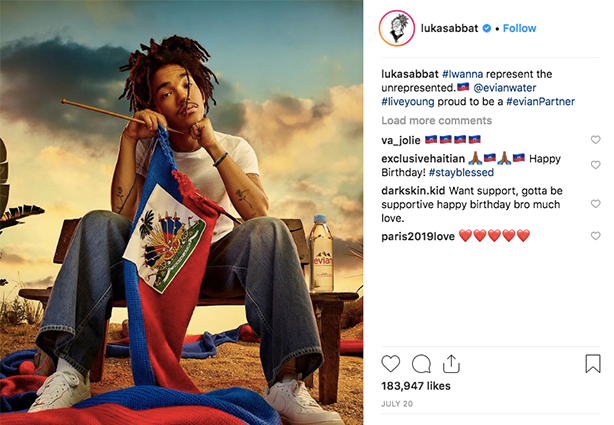 According to the lawsuit, Sabbat only published one Instagram post, albeit with several photos wearing spectacles; but neither were photographed in public and PR Consulting alleged he failed to provide analytics within the 24-hour contractual period. The lawsuit claims Sabbat has admitted the breach and has refused to reimburse the $45,000 upfront fee. It is seeking $90,000 (£71,000) in damages. 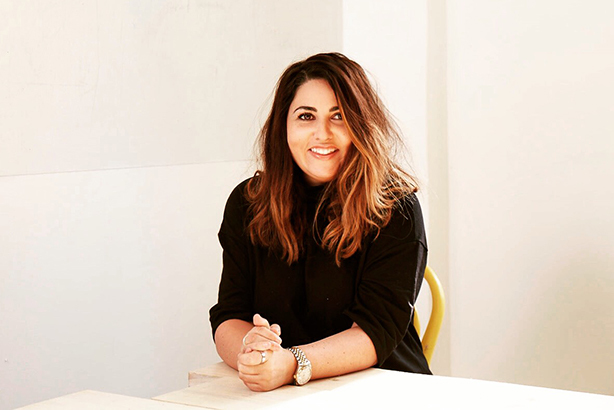 W Communications deputy managing director Sophie Raine slammed the campaign as a "complete moronathon", arguing the Instagram star Sabbat is not at all aligned to the brand – Snapchat has a history of being cloned and cannibalised by Instagram. "If this moronothon was executed with any degree of subtlety or artfulness then maybe, just maybe, they’d have escaped unscathed," Raine told PRWeek. "But due to the cataclysmic media storm that subsequently ensued, the campaign stinks of Chanel no. Desperation, especially given Instagram is the platform that’s currently eating Snap’s lunch." Raine said the lawsuit has created the worst possible PR for Snap, bringing unwanted attention to the murky backstage world of influencer paid-for promotion. "During the planning stages of any influencer marketing campaign, and certainly before offering up large sums of money to ‘talent’ (I use the term loosely here), the agency/brand need to ask themselves one critical but simple question before proceeding: does this feel authentic?," she said. "I’ve seen more authenticity in a botox clinic waiting room. "If I had some glasses that allowed me to view inside Snap Inc’s headquarters, I’d suspect they are in the process of gingerly filling out a new RFP and I for one couldn’t blame them." Frank founder and managing partner Andrew Bloch agreed the campaign lacked authenticity and questioned how PR Consulting could negotiate a 75 per cent upfront fee. "The key learning from this situation is that you should always find and work with influencers who are genuinely interested in a brand’s product, rather than simply trying to buy an endorsement," he told PRWeek. "The best way of achieving success is to structure a deal which incentivises compliance. Where possible, Frank will always seek to minimise or remove up-front payments and structure incentives based on results…[such as] business objectives and, where possible, sales." Frank has developed an exclusive three-way agreement with an online social sales platform and a talent booker to structure campaigns and remuneration around client objectives. "We work together to identify appropriate influencers on behalf of brands and then agree a revenue-share with them based on sales achieved," Bloch explained. Sabbat's case highlights a broader risk when using influencers, argues Darryl Taylor, in-house legal counsel at We Are Social. "This scenario is unfortunately not uncommon, however, it's usually something brands and agencies look to resolve privately - issuing a claim is unusual," Taylor explained. "Brands engage with influencers for their mass appeal, so many would be wary of antagonising someone with a large level of influence, even if they have justification." Taylor said the relevant bargaining powers of Sabbat and PR Consulting might have meant a 75% upfront fee was necessary to secure his services. To overcome these risks, Taylor recommends staggering payments based on dates and/or deliverables, or using other payment options such as third-party escrow, where a third party between the influencer and the brand holds the fee and releases when the brief is fulfilled.